Paul here standing in for Barb. She’s attending the wedding of the lovely Becca & Simon. Back in November I had the pleasure of launching the Parchment Trading Cards and Coins on TV, designed by the super lovely Josie Davidson. This week I’ll show you how you can create some beautiful PTC’s and some mini art using the Groovi plates. Keep an eye out for the pesky craft fairies who kept hiding all my equipment! Mmmmm, was it the pesky craft fairies playing tricks on me? ……… or was it just me! 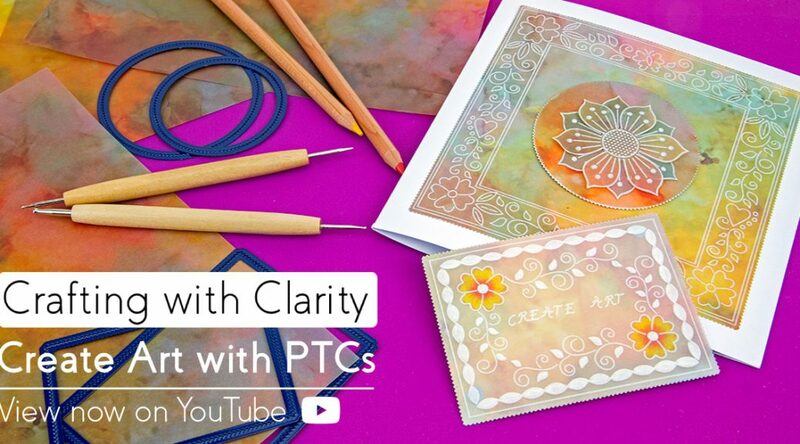 There are so many great things that I love about the PTC plates, from the design, to the ease of use but best of all using them as mini art to practice various skills from white work to colouring. The plates are so versatile, they can be used as they have been designed, or even to create toppers for your cards. If you are a member of Groovi Worldwide, the lovely Josie Davidson organises a Parchment Trading Card Monthly Swap which is free to take part in and is a great way of sharing ideas and inspiration, so check out the Facebook page for more information. 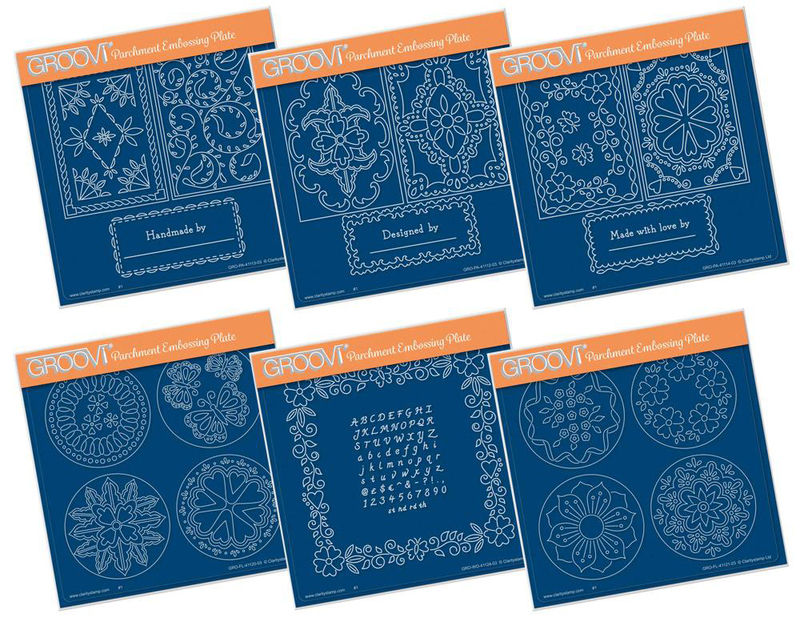 Save 20 percent (plus club discounts) this week only on Josie’s PTC Groovi Collection – available as a set or individually. Shop this week’s YouTube offers here. Those fairies must be mates of my paper pixie who is always hiding things !!! Didn’t buy the PTC plates before but having watched your creations I have now placed an order. Magic for making toppers. Well what a joy to come home to YouTube Tuesday after an afternoon of U3A Beginners Bridge. Just popped the kettle on to curl up in front of Chromecast to watch you on TV. I’m wondering if it was filmed on a Friday afternoon? It looked like you & Simon were having far too much filming fun…………. Hi Paul great to watch your demos. Never too long. I haven’t had a chance to watch yet, but will catch up tomorrow, so thanks in advance. I always enjoy watching your demos. I have added the plates to my wish list, which seems to get longer by the day! Really enjoyed the you tube, the little pieces of artwork are great for practising techniques aren’t they. I hadn’t heard of the coins before so that was interesting too. Oh those naughty fairies, that did make me laugh. I rediscovered parchment art for me. I’ve watched a lot of videos and I always wonder how to make the edges beautiful and what tools there are. I would be very happy to hear from you.